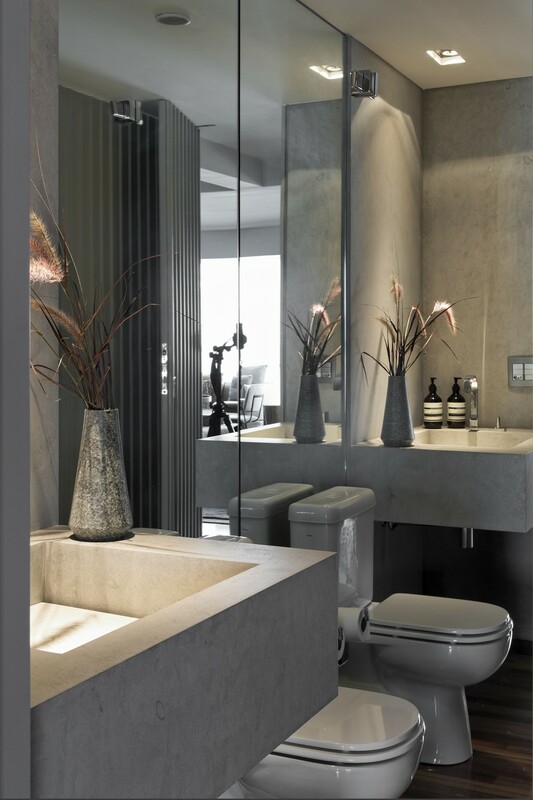 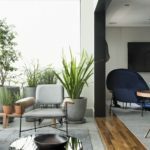 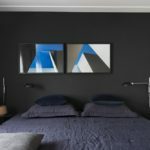 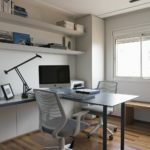 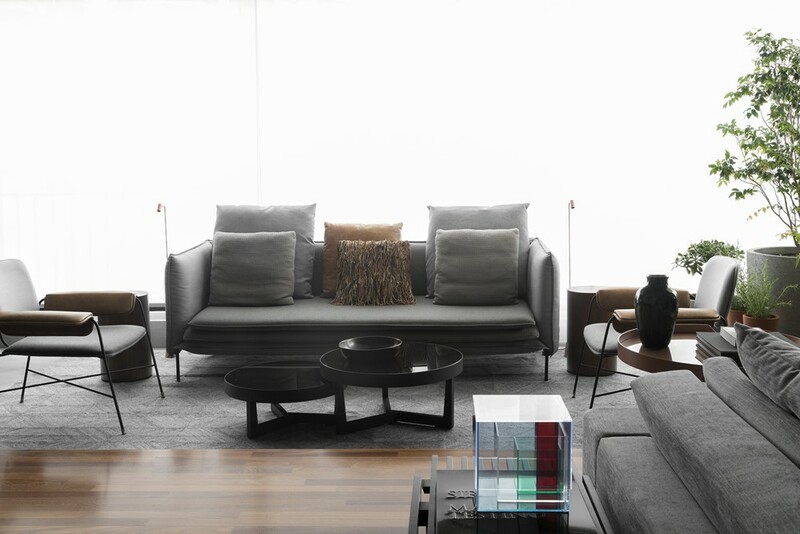 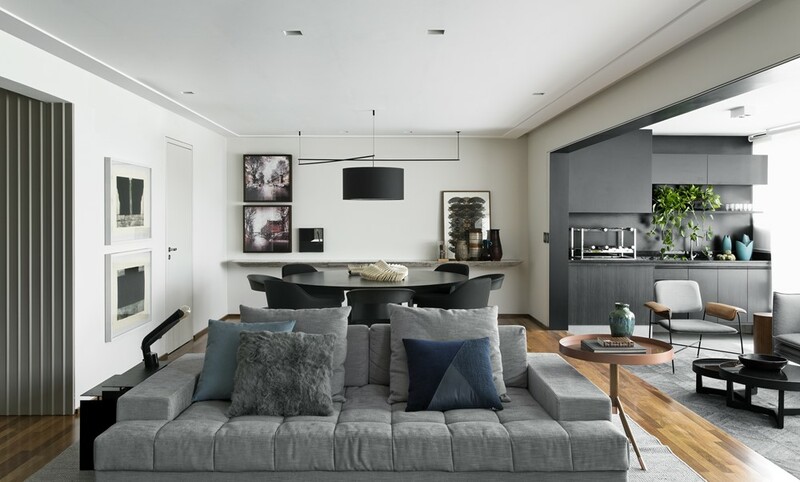 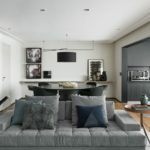 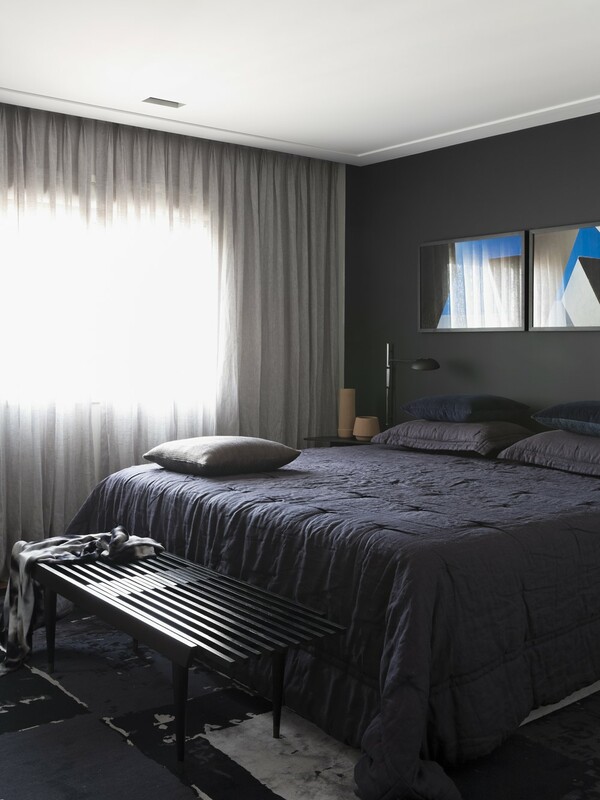 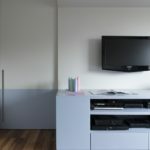 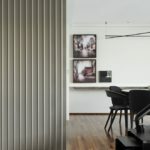 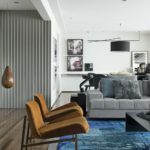 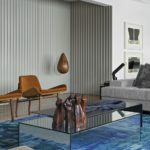 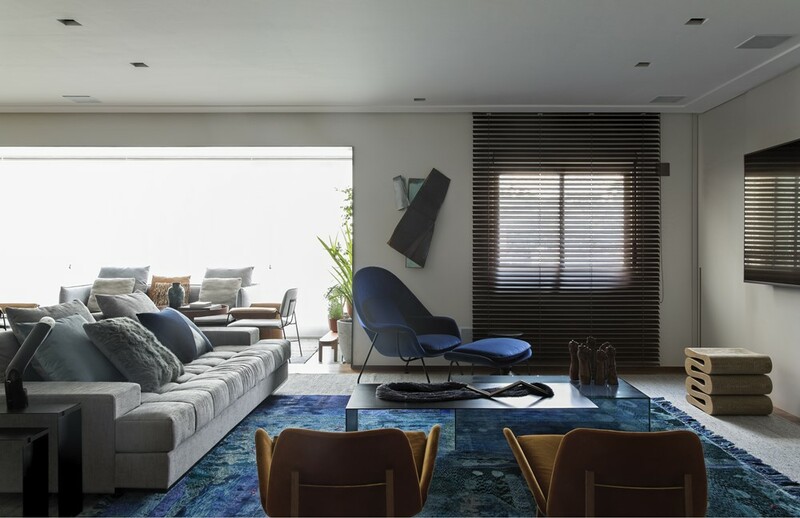 Cumarú Apartment is a project designed by Diego Revollo. 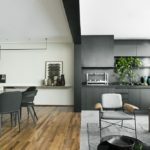 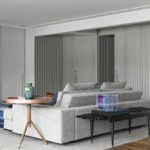 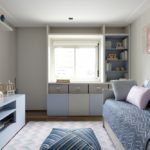 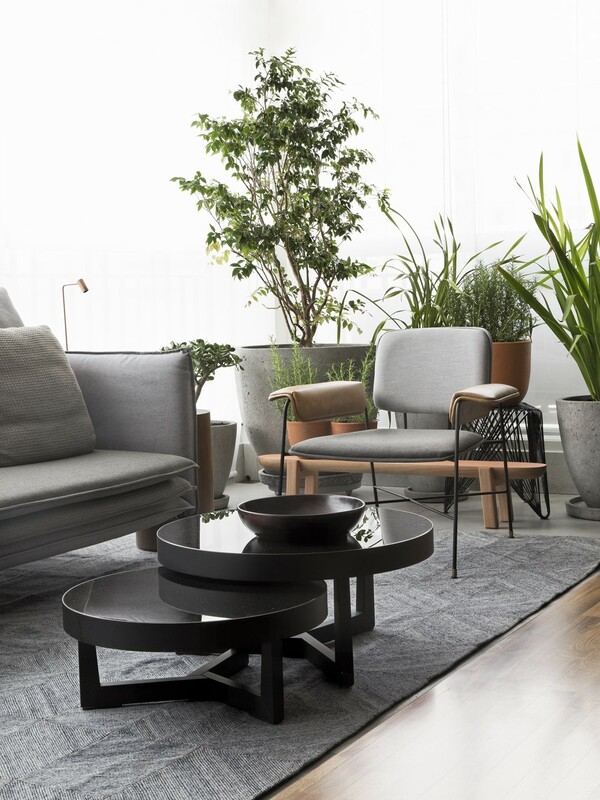 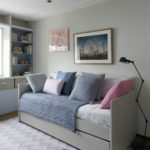 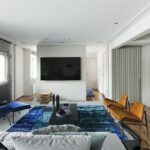 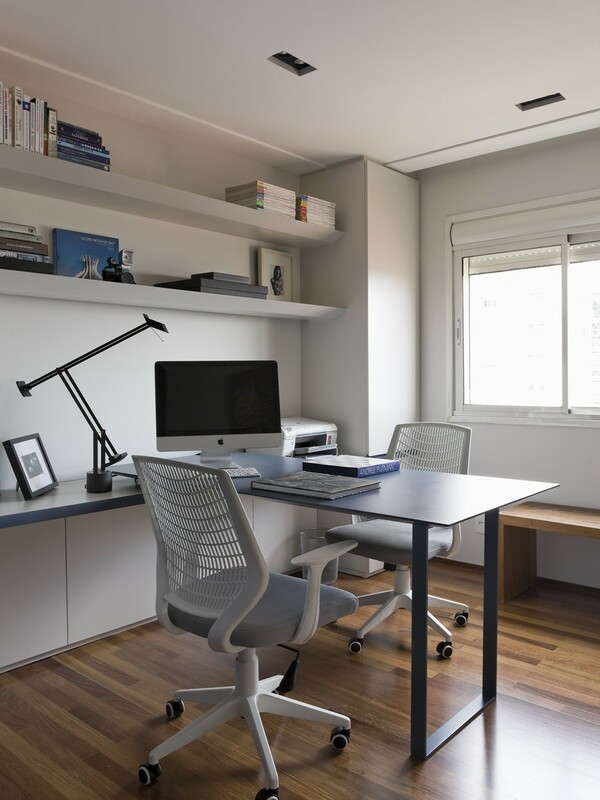 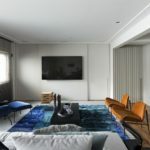 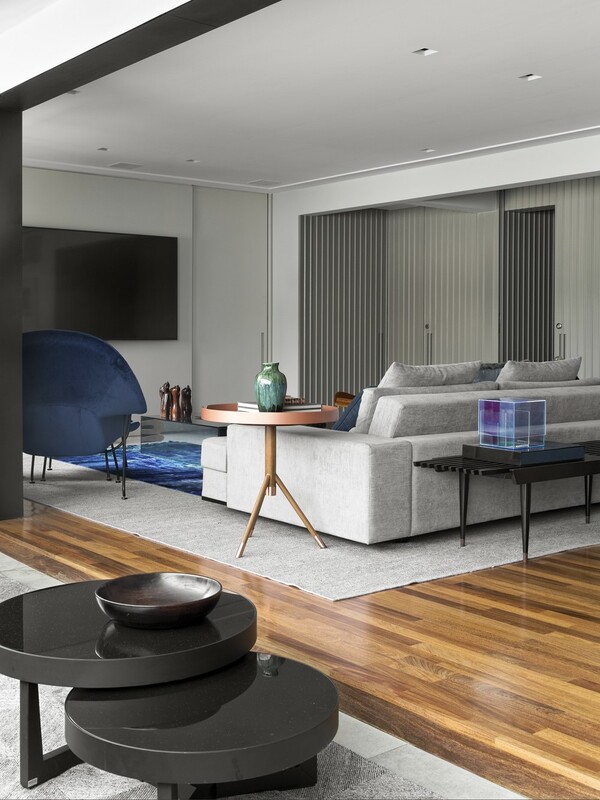 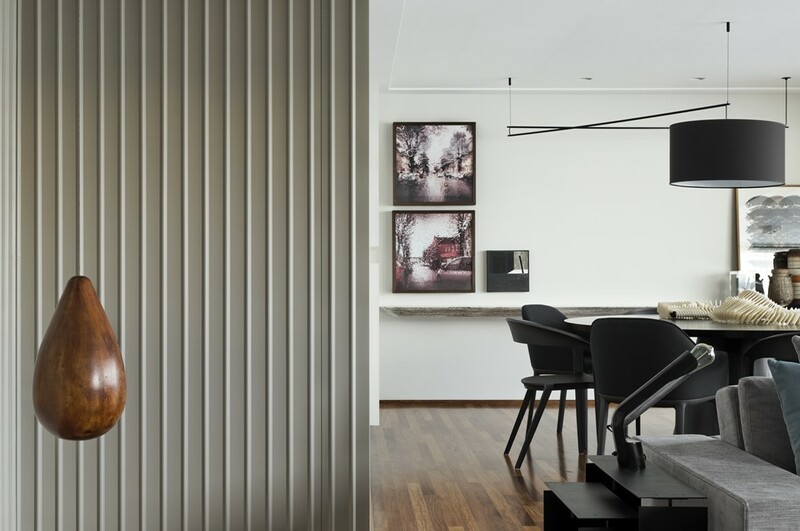 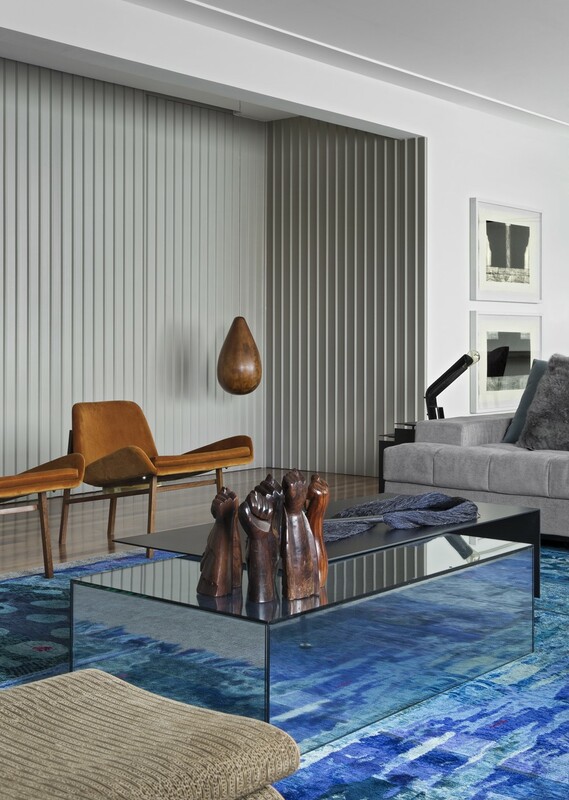 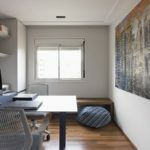 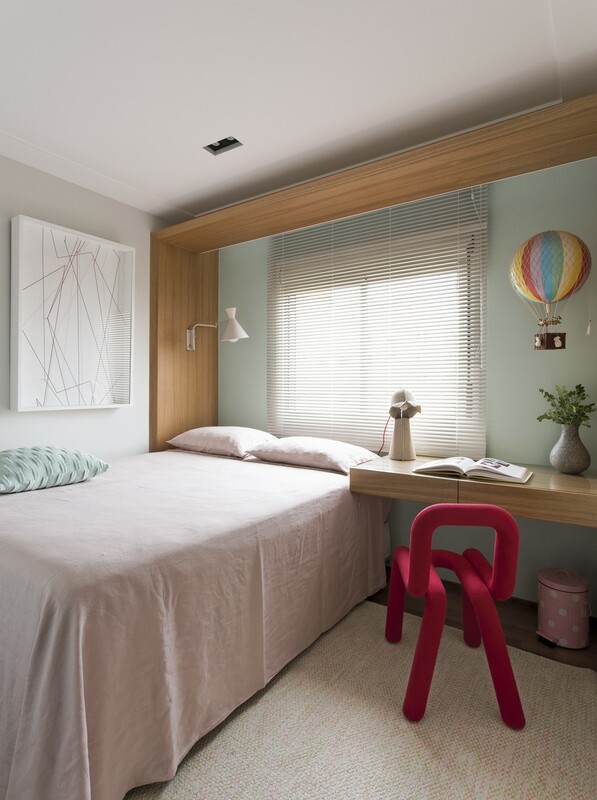 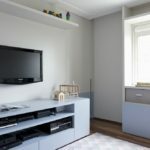 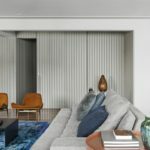 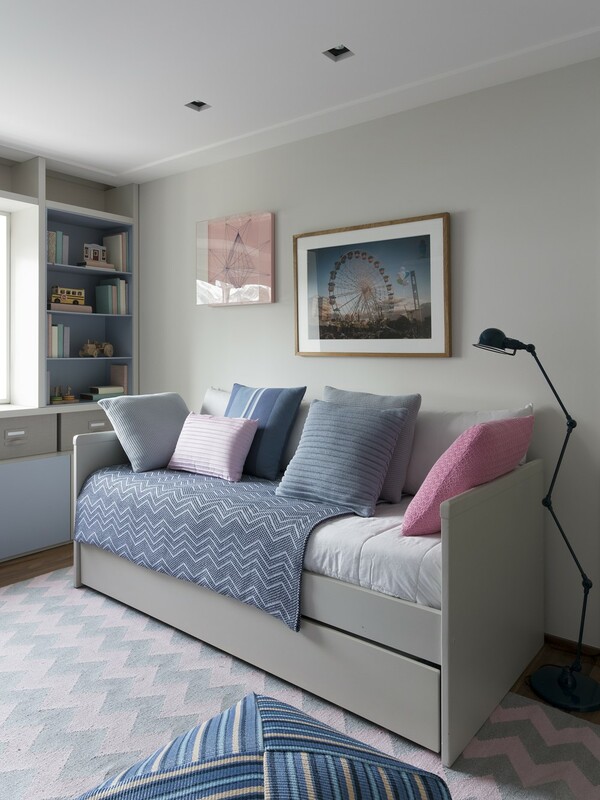 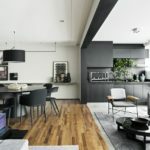 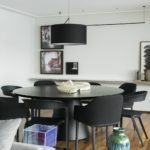 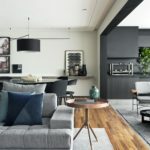 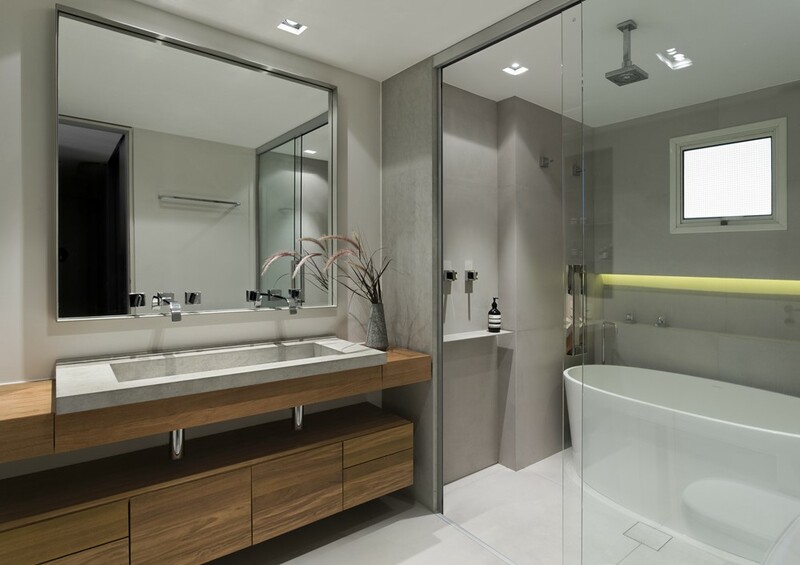 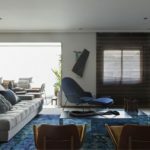 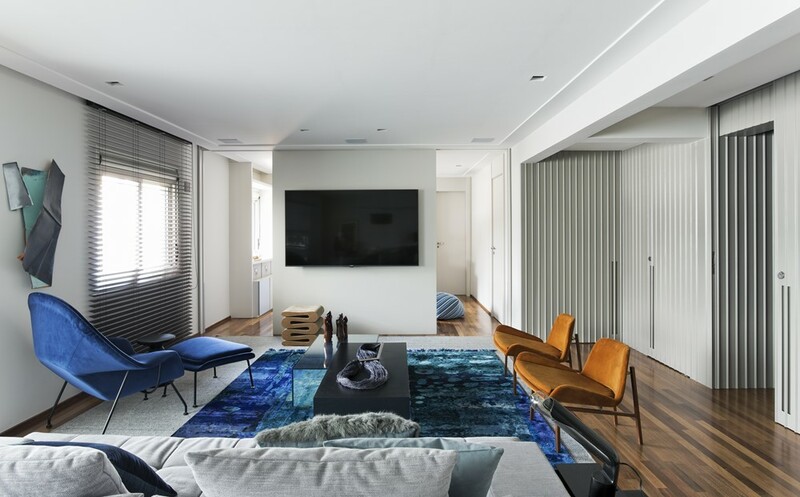 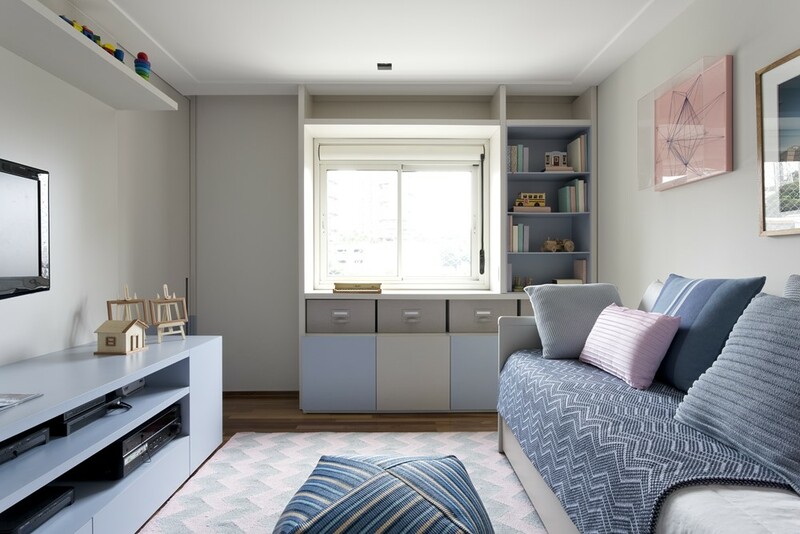 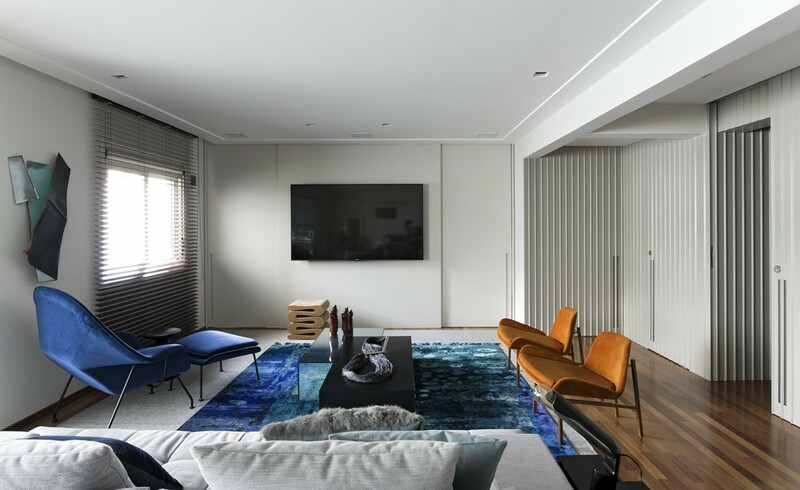 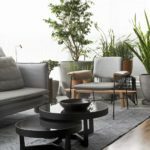 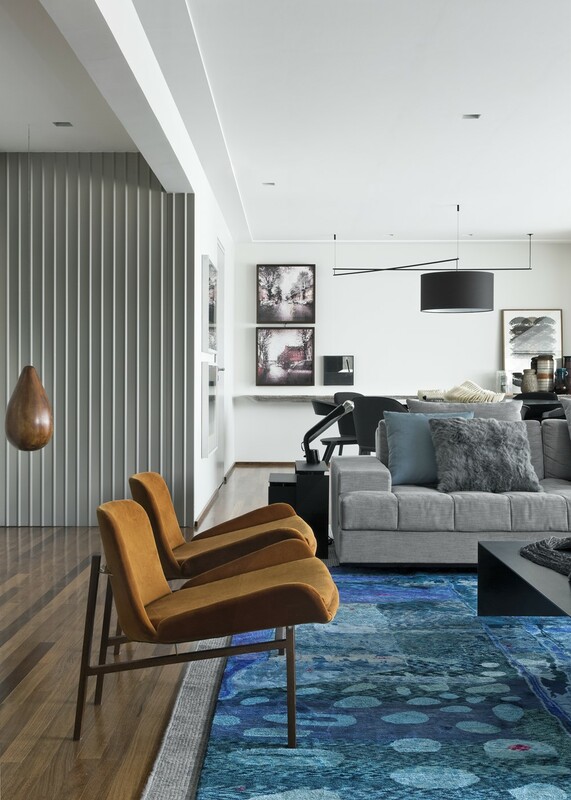 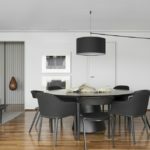 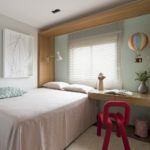 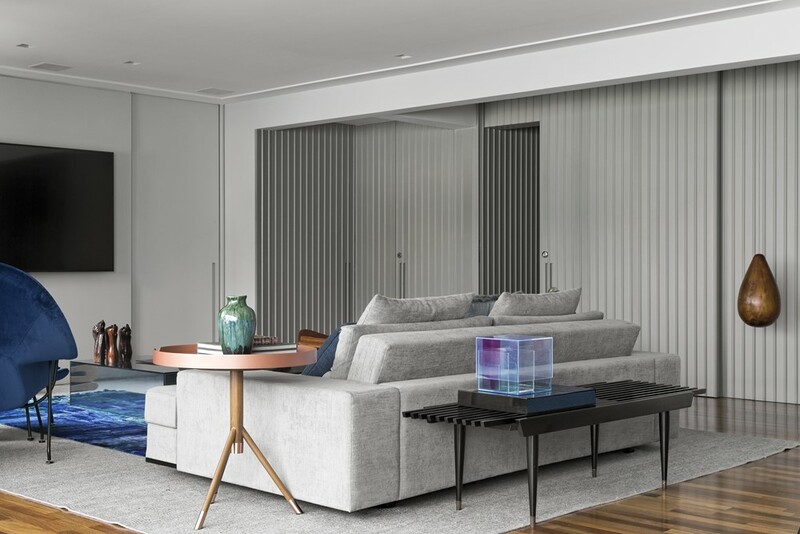 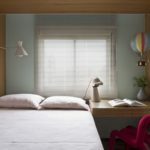 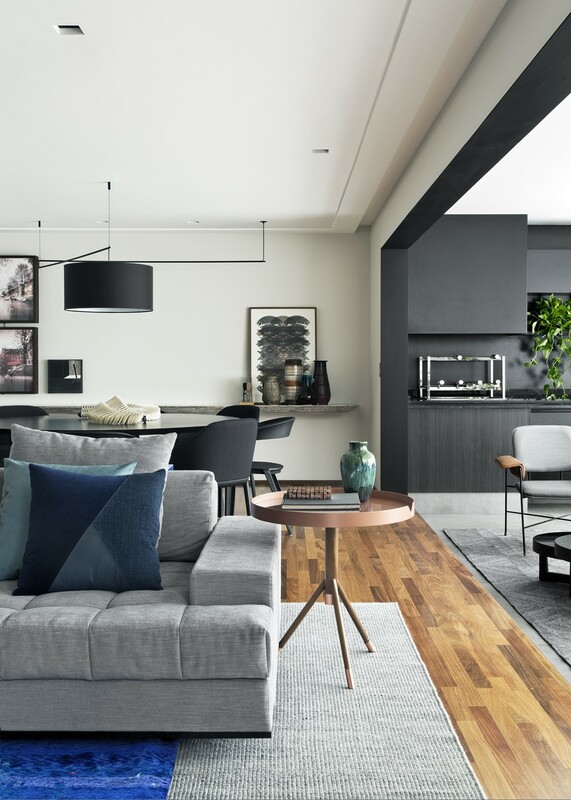 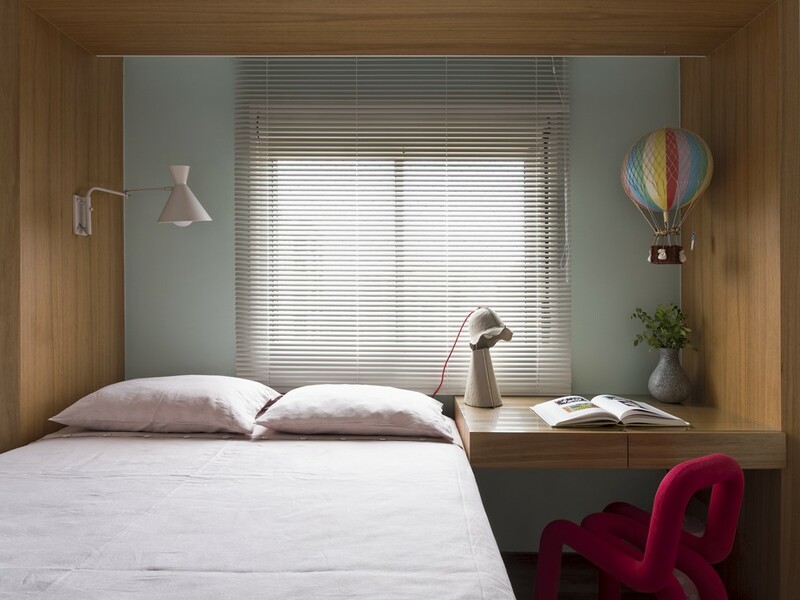 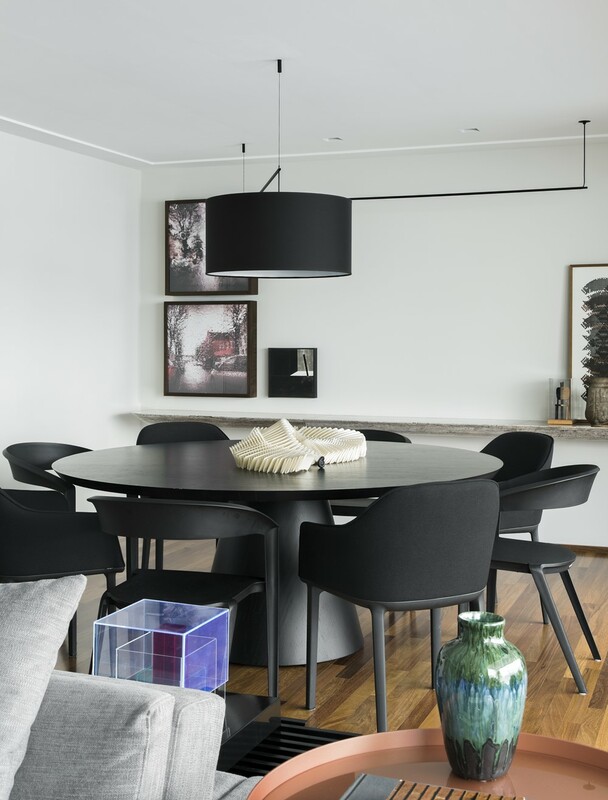 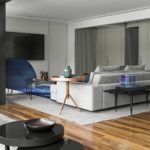 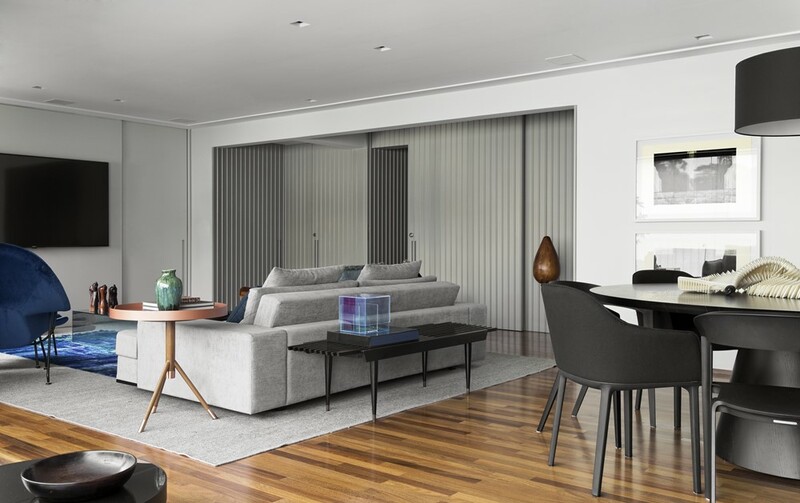 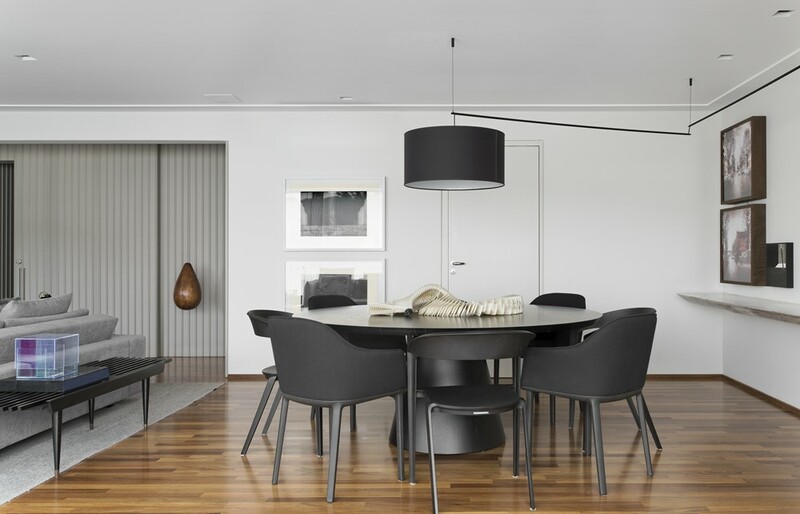 The young owners of this apartment in Alto de Pinheiros, São Paulo, wanted an interior design compatible with the life phase they were in: spacious enough to accommodate the daughter and without excesses that would hinder their stripped way of life. 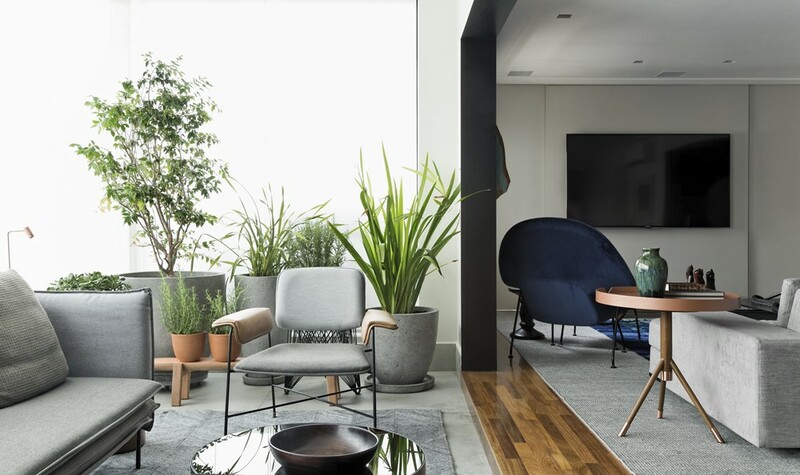 It was really necessary to adapt the architecture of the apartment to the style of the neighborhood in which it is situated: a quiet and mostly residential region, permeated by many green areas and abundance of sunlight. 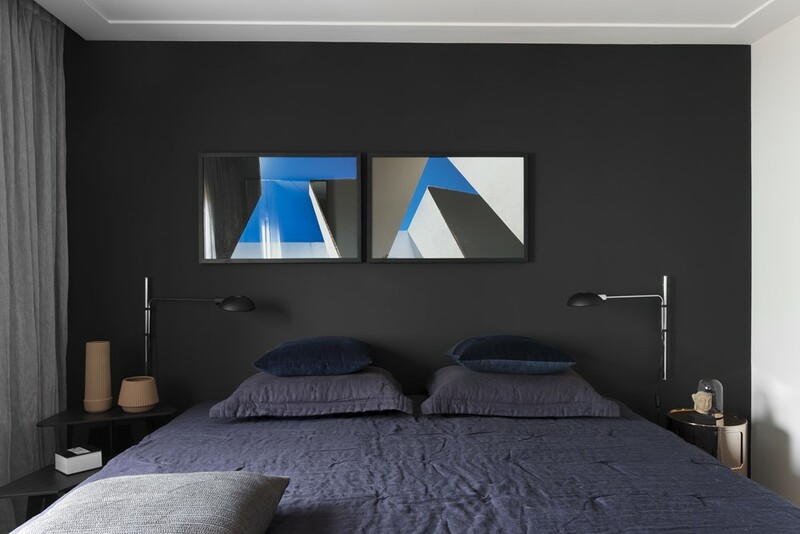 Photographer: Alain Brugier. 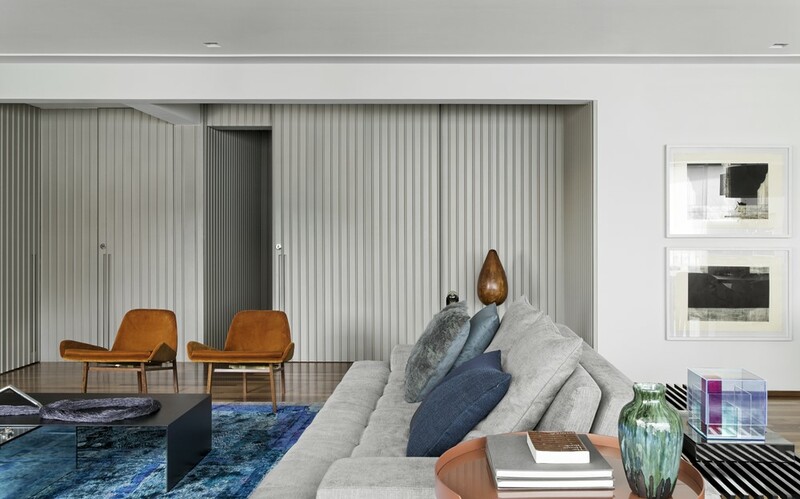 The original plan, compartmentalized, gave way to the integration of spaces, promoted by the architect, when the whole area of the balcony, that pervades the facade of the building, was integrated to the livin room. 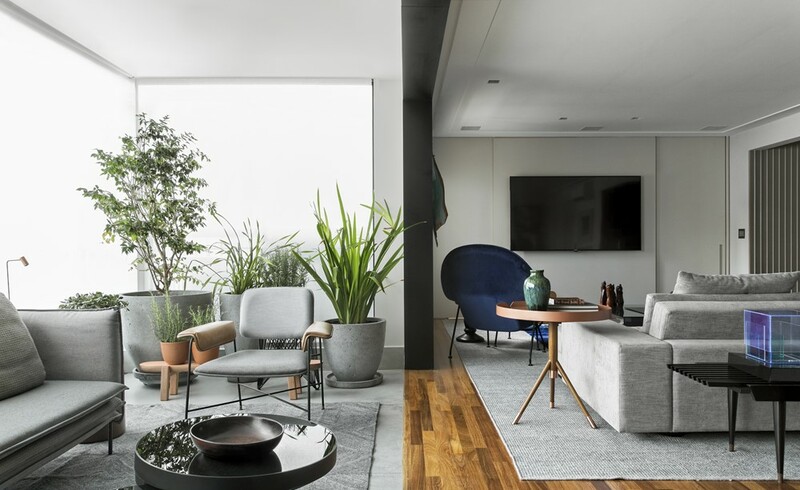 With this, the “external” area could become a continuation of the living, providing an expressive amount of natural illumination to the social area of the apartment. 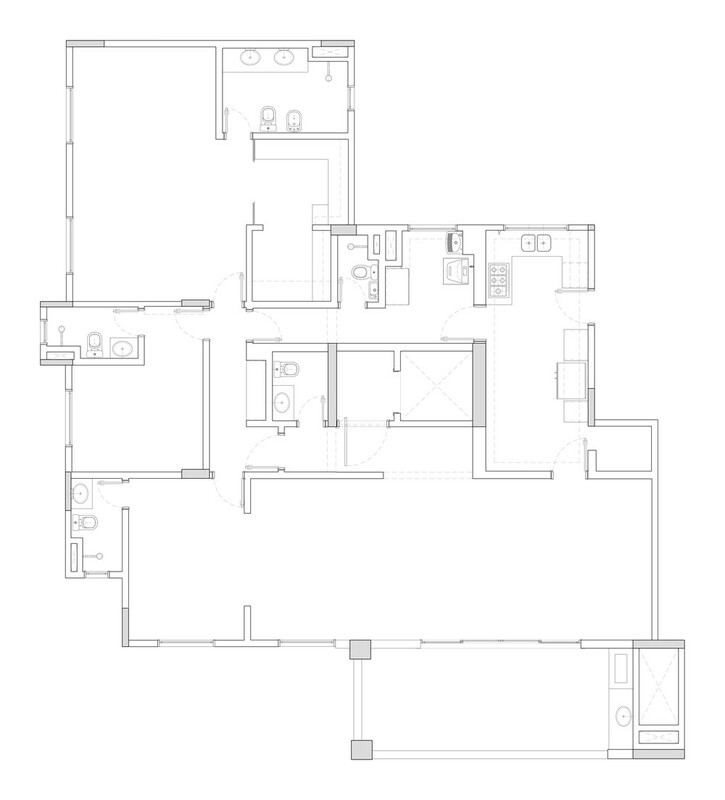 As for the reformulation of the plan, the changes were more measured. 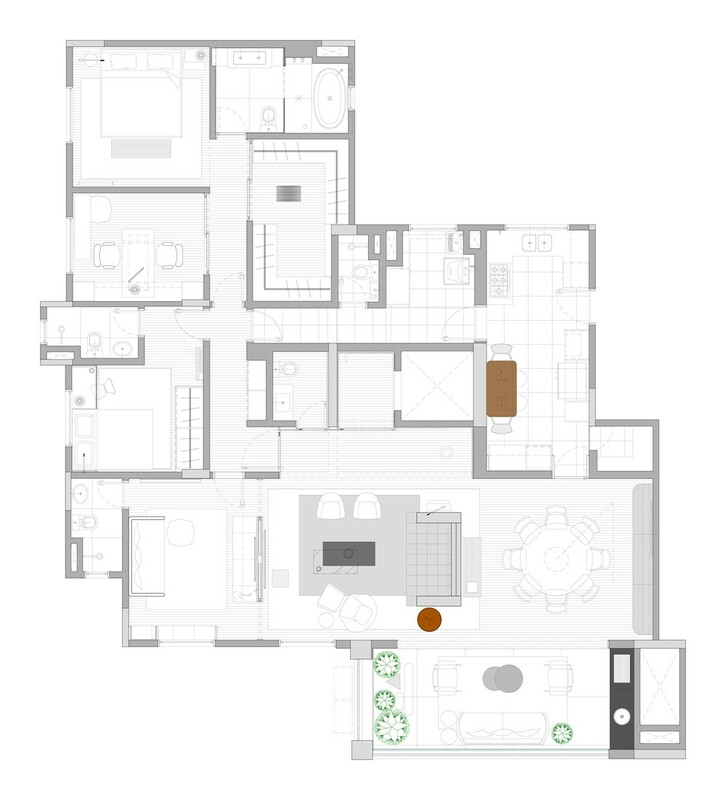 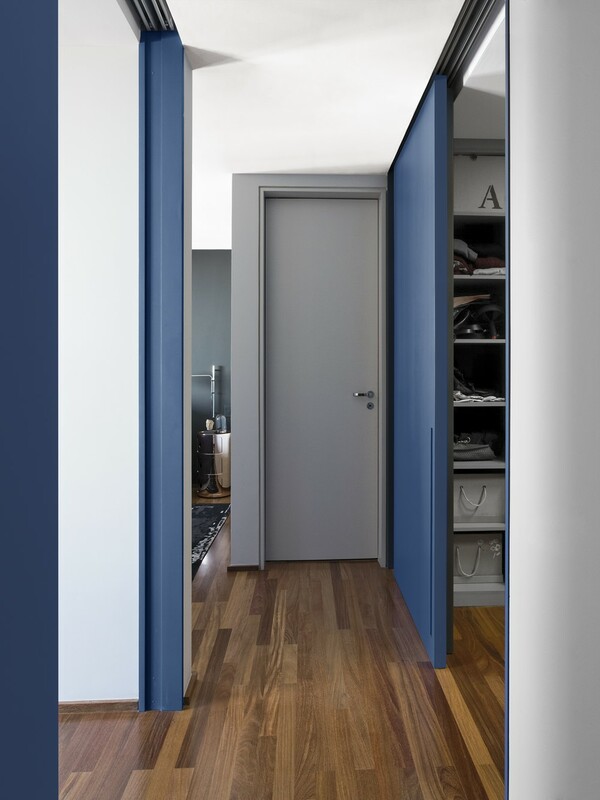 The architect proposed a lean circulation and sliding doors connecting the adjoining dormitory to the room. 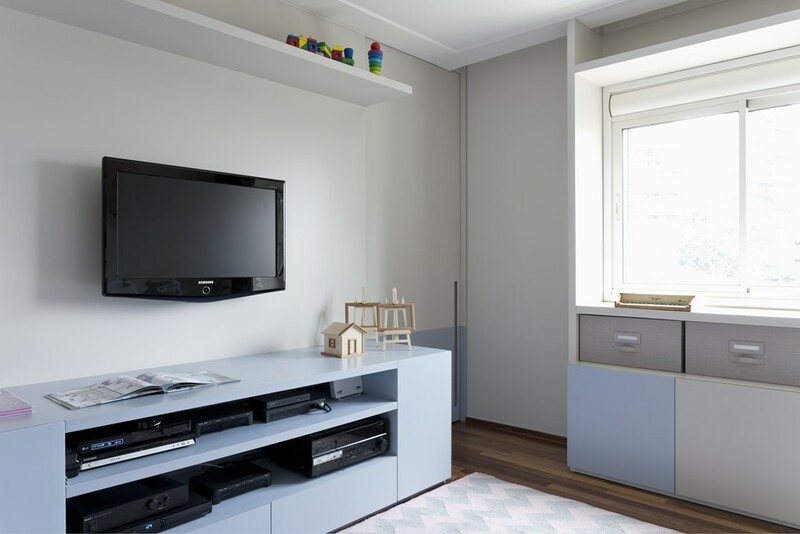 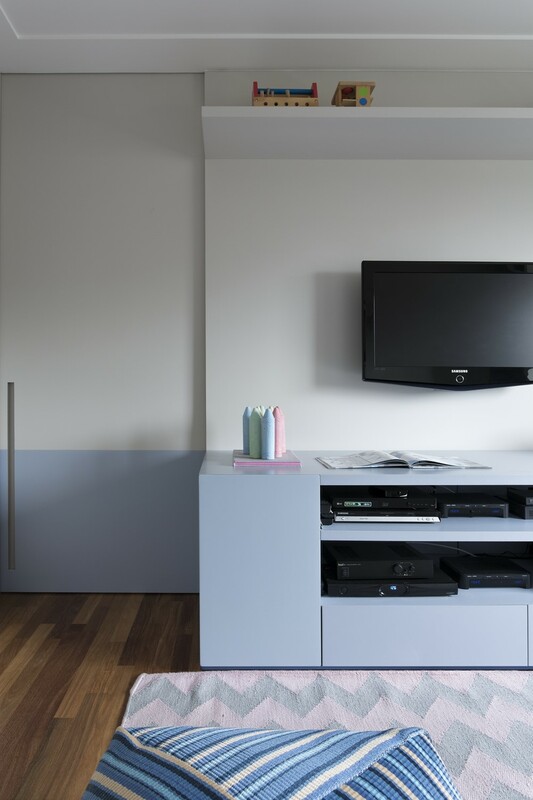 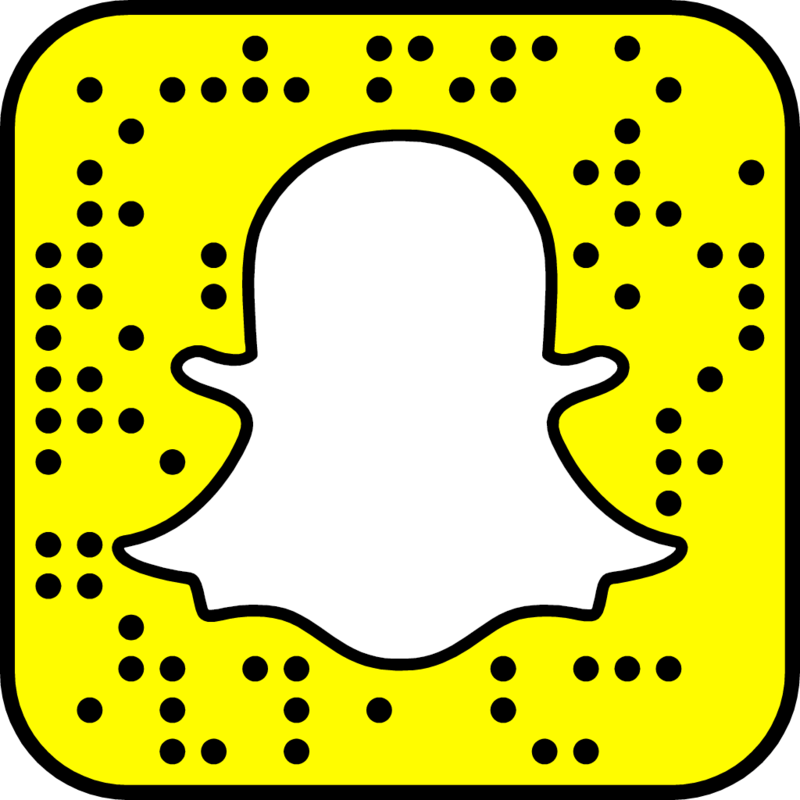 This has given rise to a playroom that can connect, or not, to the social part. 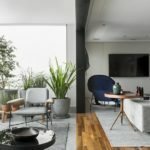 During the course of the project, it is essential to emphasize the fact that the terrace became part of the room, but continued with the concept of balcony. 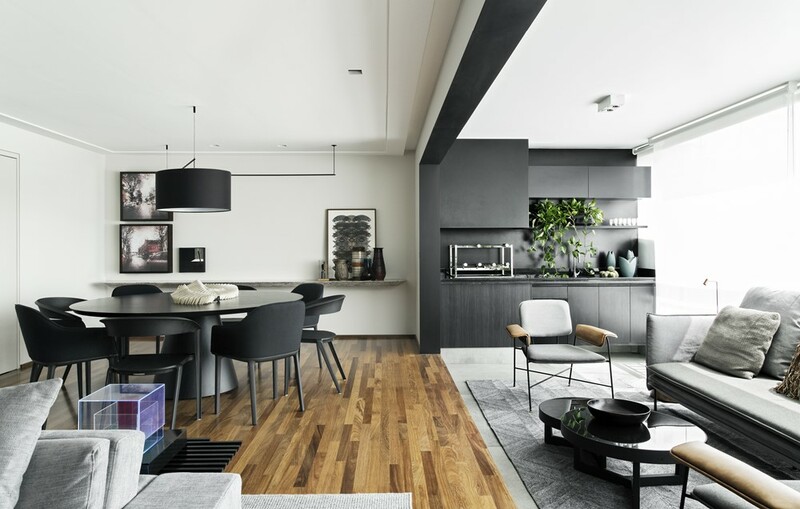 The level difference between the floors was maintained and the floor was coated in ceramic material. 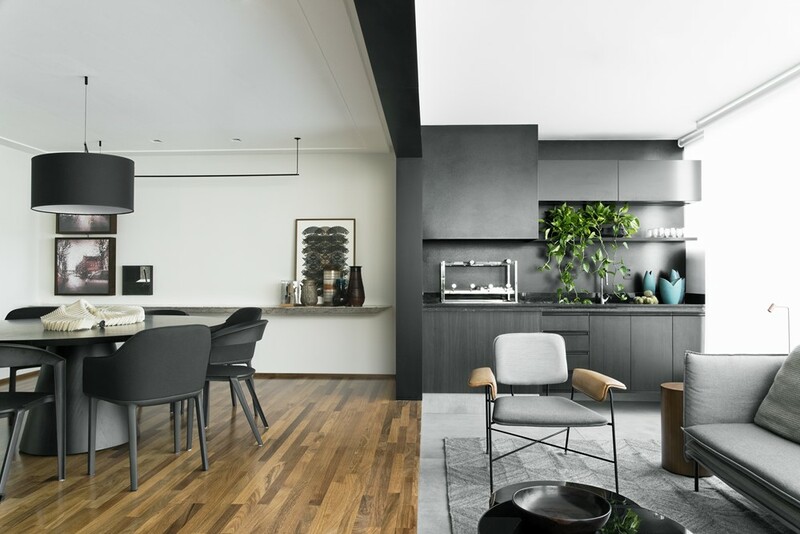 It was necessary to integrate, still keeping the difference. 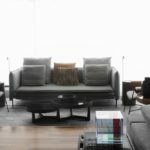 Even the transition between the living room and the terrace was thought to be smoothly finished by a metallic, elegant and discreet portico. 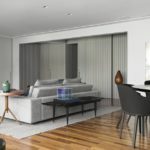 The existing range was extended and was even considered to run a closing frame, but the metallic portico was sufficient to separate both environments without the need for a new layer of glass. 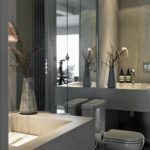 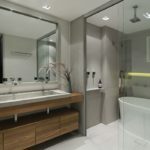 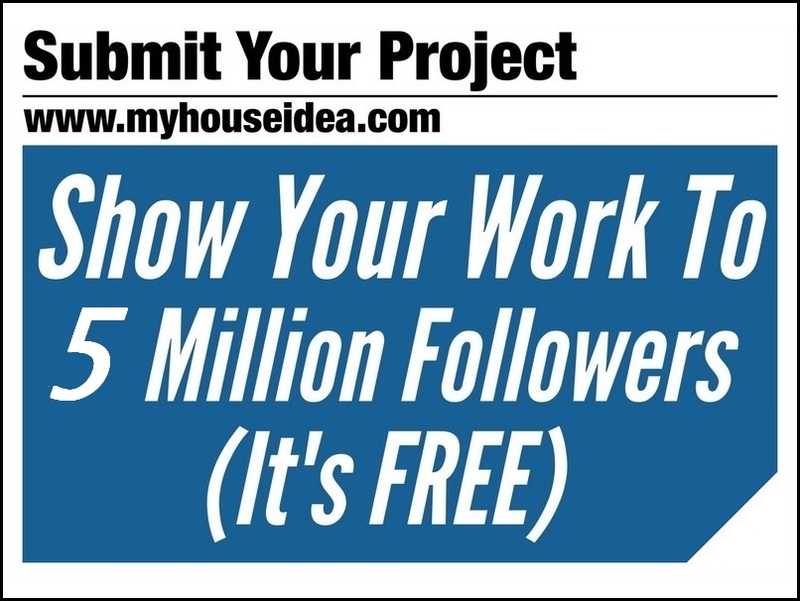 This entry was posted in apartments, bathroom, bedroom, kitchen, living and tagged apartment, bathroom, bedroom, Cumarú Apartment, Diego Revollo, house, house idea, houseidea, kitchen, living, myhouseidea on October 4, 2018 by admin.